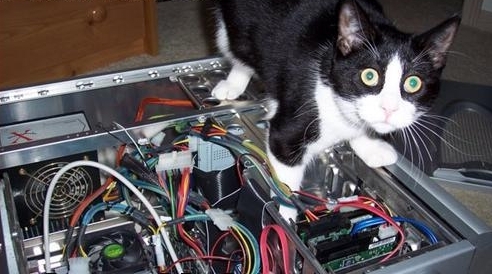 If your computer is in need of repair, just bring it in during our Shop Hours. No appointment is necessary. Normal repair time is 1 or 2 business days unless parts need to be ordered. Our senior technician, a veteran of the US military, has over 30 years experience working on desktops and laptops - we currently service over 150 businesses and 900 home users. Handhelds (tablets - phones) also serviced and repaired, parts ordered as needed. Ralston Computer can assist with expert removal of viruses and malware - routine cleaning - data recovery - sales of new laptops and towers, and repair of a wide variety of other problems on any brand of computer or handheld you have. Just bring it in. Our technicians are checked four time yearly for drug usage and criminal records, you can feel confident that your information is handled properly and stays secure.